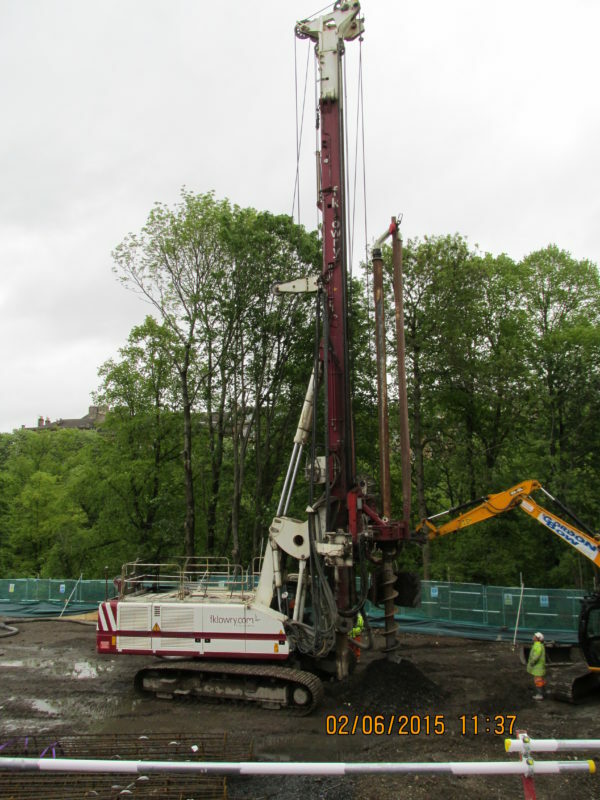 FK Lowry Piling were subcontracted to Barratt Homes to design and install Piles for their prestigious “Botanics” Residential Scheme off Queen Margaret Drive, Glasgow. Set within the former grounds of the renowned BBC Studios, The Botanics will feature a collection of 94 unique homes, a number of which will benefit from views over the River Kelvin or Glasgow Botanic Gardens. The development will include two and three bedroom apartments, three and four bedroom duplex apartments and three and four bedroom townhouses. FK Lowry Piling undertook both Driven Precast & CFA Methods on the project. FK Lowry Piling initially installed 195 No. 250mm square Precast Driven Piles to support a load transfer platform adjacent to the River Kelvin. This load-transfer platform was then used to support the bearing pressures of the Soilmec SR-70 Piling Rig as it installed 110M of 600mm Dia. Contiguous Bored Pile Wall. CFA Methods were also used to install 306 No. 600mm Dia. Bearing Piles to support loads for the 4 No. Apartment Blocks on the Scheme.